1908 - Navy Nurse Corps established. 1943 - Bureau of Navigation renamed Bureau of Naval Personnel. 1945 - Aircraft from fast carrier task force begin two-day attack on Kyushu airfields, Japan. 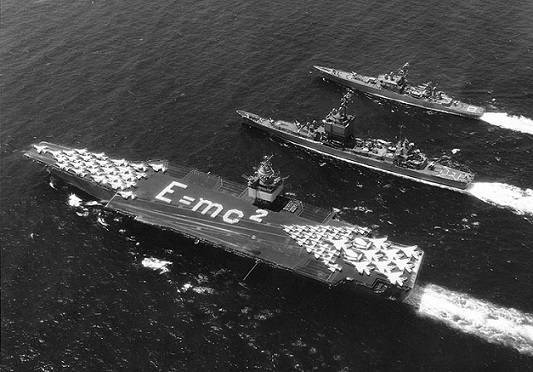 1964 - Organization and deployment of world's first all nuclear-powered task group, USS Enterprise (CVN 65), USS Long Beach (CGN 9), and USS Bainbridge (CGN 25), to Sixth Fleet. For more information on U.S. naval history, visit the Naval Historical Center Web site at www.history.navy.mil.